Rear Suspension Swing Arm With dual gas charged shock absorbers with 5-step adjustable preload. 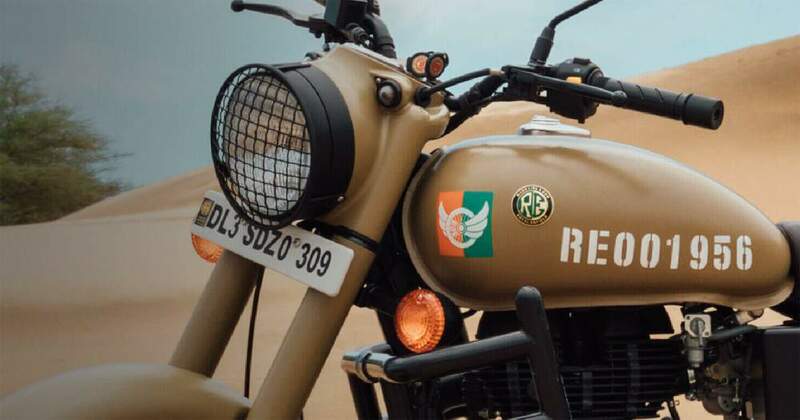 The Classic 350 Stormrider Sand livery is inspired by those testing border terrains and desert outposts, celebrating the mettle of the forces and the motorcycles that serve in those harsh conditions. The Classic 350 Airborne Blue paint scheme is inspired by Royal Enfield’s long heritage of serving the guardians of our skies. 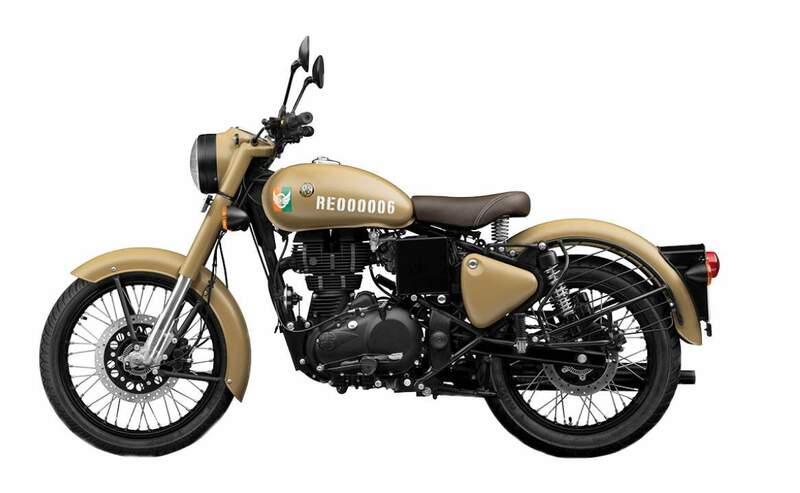 The Classic 350 Signals edition comes with a dual channel Anti-lock Braking System, giving you more braking confidence. Each of the Classic 350 Signals Edition comes with a serial number marking on the tank making every motorcycle truly unique. From robust motorcycles built as mobile machine gun platforms during the First World War to the production of vital targeting components for anti-aircraft guns in an underground factory during the Second World War, Royal Enfield has been in direct service to the armed forces throughout its existence. 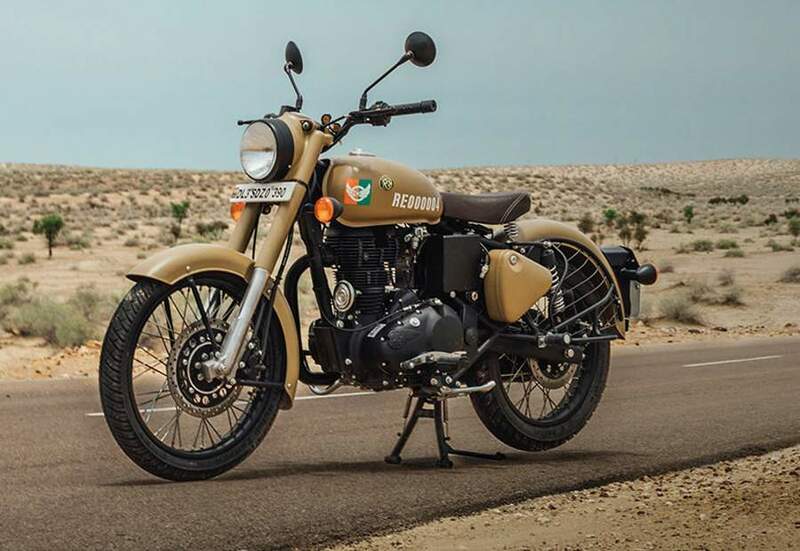 This legacy continued when the legendary Royal Enfield Bullet went into service with the Indian Army in the early 1950s and was immediately deployed to some of the harshest and most testing terrain in the world. It still serves there today. The 350 Classic is powered by the 349cc air-cooled single-cylinder carburetted engine. This engine delivers 19.8bhp and 28Nm of torque through a five-speed transmission.